When you hear the name Marilyn Monroe, what’s the first thing that comes to mind? 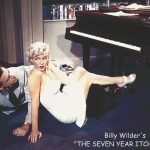 Do you think of ‘The Girl’ in The Seven Year Itch, or someone who inspired a generation? 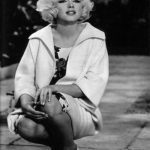 Most people think of her as the blonde bombshell of the fifties. A woman who was dumb but beautiful. 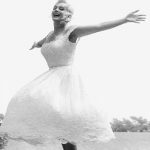 The headline from when she married Arthur Miller in 1956 speaks volumes for how she was viewed – “Egghead Marries Hourglass” – can you tell which one is Marilyn in that? The truth of who Marilyn was couldn’t be further from this. 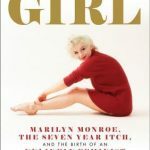 Books like The Girl: Marilyn Monroe, The Seven Year Itch, and the Birth of an Unlikely Feminist by Michelle Morgan are making great strides toward changing perceptions but it will take time. 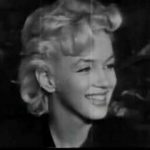 It seems Marilyn played a dumb blonde so well, it’s stuck! As a child she grew up with no father, a mother who was committed to a psychiatric facility and no siblings that she knew of. She longed for the love of a family. She longed to know a father who would love and protect her as a father should. Unfortunately, that was never to be. It wasn’t long before she was discovered by Johnny Hyde and with his help, doing screen tests and meeting with important people like Joseph Schenck and John Huston. 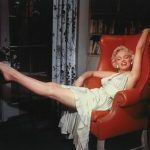 This is where we can discount the rumours of the “casting couch” that have plagued Marilyn’s legacy over the years. Many people believe that she “slept her way to the top” but this couldn’t be further from the truth. 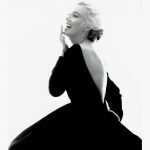 It took her a good five years from the time she started out to gaining her first leading role in Gentlemen Prefer Blondes. Had she been actively pursuing men of high stature, she would have been cast in a leading role several years earlier. 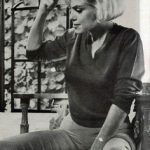 It should also be noted that she was dropped from contracts at 20th Century Fox and Columbia during this period, before being contracted to Fox again in 1952 for the remainder of her career (*you can find out more about that here). 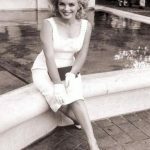 Marilyn was a woman who actively spoke out about “Hollywood Wolves” – men she felt were only after one thing – and how she avoided letting them take advantage. 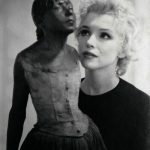 By 1955, Marilyn was unhappy with how her career was progressing and decided to leave Hollywood and move to New York to study at The Actors Studio under the tutelage of Lee Strasberg. This was not an easy decision to make. She was going head to head with the studio who had made her dreams of being an actress come true, and fighting to take her acting career in a different direction. She was still very much under contract at the time but stood her ground. 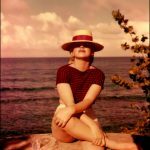 Whilst in New York she set up her very own production company with Milton Greene. Whilst not being the first woman to do this, it was certainly a very amibtious move – One to be celebrated. 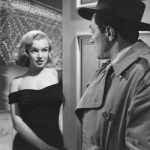 By the time she returned to Hollywood in 1956, Marilyn had script approval, director approval and the option to make two movies each year away from 20th Century Fox – This was unheard of at the time. 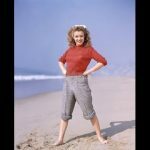 There were many times in her career, both before, and following her break from Hollywood, that Marilyn had to fight to be heard. Had to fight for what she believed in and how she wanted her career to unfold – and she did it. She fought, and she won. When people ask me, with furrowed brows, “Yeah, but WHY Marilyn Monroe? Why her? What’s so special about her?” I tell them all this. I tell them what a champion she was for women’s rights, for civil rights, for human rights. 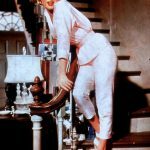 Marilyn Monroe was no dumb blonde. She may have had issues with insecurity and anxiety, but we all have our issues. 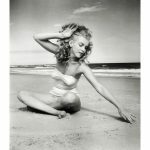 Marilyn Monroe was inspirational, strong, a trend-setter who never stopped striving, trying to be better. I want to be more like her every day.